Obtaining a web page response. Using the table structure of a web page. The application is an office sport betting pool. An administrator is designated to manage the pool, which includes opening and closing the betting. Entrants select the winner in each of the up to 10 games defined by the administrator and also guess the total score in one of those games, as designated by the administrator. The winner of the pool is the one who got the most winners correct, with any ties going to the person whose predicted total score in the tie-breaker game was closest to the actual final score. 1.1 Administrator Opens Pool - The administrator defines up to ten games, specifying the home and away team for each game. He also selects one of these games as the tie-breaker. Once the data is correct, the administrator opens the pool for betting. 1.2 Administrator Closes Pool - After the pool is open, the administrator may at any time close the pool, thus preventing any further bets or changes to existing bets. 1.3 Administrator Posts Results - After the pool is closed, the administrator enters actual scores for each of the games played. Once all scores have been entered, the administrator posts the results. 2.1 Users enters a bet - After the pool is open, a user may sign on and create a bet, predicting the winner of each game and the total score of the tie-breaker game. The user may change his bet until the pool is closed. 2.2 User views results - Once the results have been posted, a user may examine his own bet to see how well he did. The system will indicate the correct predictions and the user's rank in the pool. 2.3 User views standings - Once the results have been posted, a user may view a list of all bidders ranked by number of correct predictions. 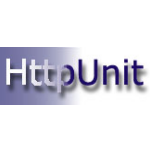 This application is fairly simple, and hardly robust, but contains more than enough interactions to allow us to explore development and testing with HttpUnit. The "accept-charset" attribute for forms is ignored; the page content character set is used to encode any response. This behavior matches that currently used by IE and Navigator.